MONDAY, March 18, 2019 (HealthDay News) -- People who regularly down sugar-laden sodas, juices and sports drinks aren't doing their heart any favors. A new study of more than 110,000 U.S. health professionals found that the more people drank sugary beverages, the higher their risk of death from cardiovascular disease. People who consumed at least two per day were about one-third more likely to die of heart disease or stroke, versus those who rarely had sugar-sweetened drinks. And it wasn't just because that the latter group was more health-conscious. The risk remained when the researchers factored in overall diet and habits such as exercise, smoking and drinking. While Americans eat plenty of junk food, there is reason to focus on sugary drinks in particular, according to Vasanti Malik, the lead researcher on the study. "They're the single biggest contributor of added sugar to Americans' diets," said Malik, a research scientist at the Harvard T.H. Chan School of Public Health. The new findings do not prove that sugary drinks, per se, raise the odds of dying from cardiovascular disease, Malik said. But, she added, many studies have linked the beverages to ill health effects -- including weight gain and heightened risks of type 2 diabetes, heart disease and stroke. "If you look at the overall literature, the association is strong," Malik said. "This study is offering another piece of evidence that we should reduce our intake of sugar-sweetened beverages." Debbie Petitpain, a registered dietitian not involved in the study, agreed. "There's no downside to cutting down on sugar-sweetened beverages," said Petitpain, a spokesperson for the Academy of Nutrition and Dietetics. In fact, she added, it's a simple way to slash excess calories -- easier than, say, eating a smaller dinner every night. That doesn't just mean cutting out soda, though. "We used to only talk about soda," Petitpain said. "But added sugars are lurking in many other beverages, too -- juices, sports drinks, coffee drinks." Ideally, people should replace those beverages with water, Petitpain said. "But if you really need that sweet taste," she added, "there are low-calorie alternatives." 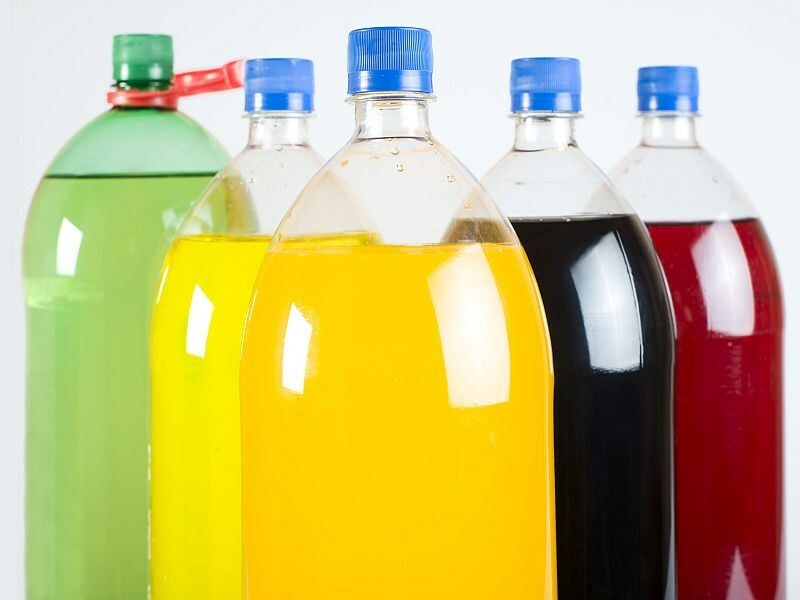 In this study, published online March 18 in the journal Circulation, there was evidence that replacing one sugary drink each day with an artificially sweetened version could trim the risk of dying from heart disease. On the other hand, women who drank a lot of artificially sweetened beverages -- four or more per day -- had an increased risk of dying (from any cause) during the study period. Does that mean artificial sweeteners somehow contributed? Malik did not discount that possibility, but also said there's no proof of that from this study. She offered an alternative explanation: "reverse causation." That is, women who were trying to lose weight or manage health problems may have switched to artificially sweetened drinks. A group representing the low-calorie beverage industry stressed that point. "These products are proven safe and beneficial for those managing their weight and blood glucose [sugar] levels," said Robert Rankin, president of the Calorie Control Council. Alice Lichtenstein is a professor of nutrition science at Tufts University Friedman School of Nutrition Science and Policy in Boston, and a spokesperson for the American Heart Association. She said it's hard to interpret the finding on artificially sweetened drinks. But in general, Lichtenstein said, "the best advice we can give to people is to drink mainly water." And if you need more zip, she added, add a slice of orange or lime -- or try an unsweetened flavored water. The findings are based on over 37,700 male health professionals and 80,000-plus female nurses who were followed from the 1980s until 2014. During that time, nearly 7,900 died of heart disease or stroke. People who regularly downed sugary drinks did tend to eat more red meat and sugar, and fewer fruits and vegetables. They also got less exercise, weighed more and were more likely to smoke, versus people who rarely had the drinks. But even when Malik's team accounted for those factors, the link between sugary drinks and cardiovascular deaths remained. It's important to cut added sugar from food, too. But liquid sugar can be particularly problematic, Petitpain said, because it's not as filling as solid food -- making it easier to load up on excess calories. "You can easily drink a 200-calorie beverage, then turn around and say, 'What's for lunch?'" Petitpain said. The American Heart Association has advice on cutting dietary sugar.